Alaska is a land of unparalleled natural wonders with something truly extraordinary to see at every turn. The state covers a vast area and so is difficult to exhaust in a single trip leaving the visitor with the difficult dilemma of choosing which places to visit and which to leave out of their itinerary. Without hesitation I would recommend including a trip to Glacier Bay National Park and I am certainly glad that I visited this beautiful area when I had the opportunity. 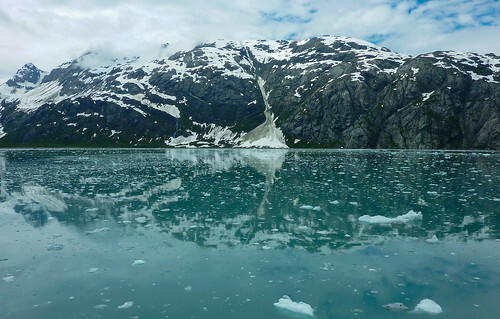 Glacier Bay is not the easiest place to access and it is necessary to fly in from the state capital Juneau. The flight is a mere 10 minutes into Gustavus airport from where shuttle busses transport you to your chosen accommodation. For my own trip I had decided to stay at the Glacier Bay Lodge because of it stunning location and the fact that the boat tour of the bay departs from the dock in front of the hotel. The Glacier Bay Lodge is an attractive waterside hotel with a good restaurant and very pleasant rooms. 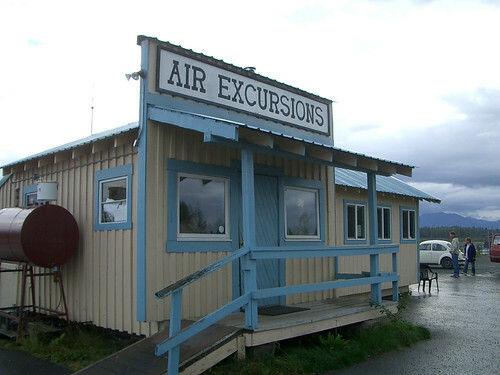 Gustavus Airport, Alaska. Photograph by Brian Holsclaw (CC BY-ND 2.0). The tour of the region is a daily cruise with the duration of roughly 8 hours. You are taken into a spectacular landscape of fjords and glaciers with abundant wildlife. As we left the dock and entered the mystical bay the spray rising from the water’s surface indicated the presence of humpback whales and numerous sea otters bobbed past the boat with a curious look on their faces. There were many sea birds including colourful puffins and I had a good sighting of a grizzly bear on the shore. As we reached the head of the inlet we arrived at the foot of a huge glacier periodically carving huge chunks of ice into the almost frozen waters and icebergs abounded around us as we drifted closer to the wall of ice. The glacier carved with a crack and a boom and it was incredible to be the only vessel in the area to witness this magnificent sight. Glacier Bay, Alaska. Photography by Frank Kovalchek (CC BY 2.0) . It is cold in Glacier Bay and standing outside on the deck of the boat was one of the coldest experiences of my life but I could not bring myself to spend too much time inside as there were so many wonders to witness on the cruise. The on board service included a hearty lunch and every passenger was given a vacuum mug which could be filled with hot drinks as often as you wished and kept as a souvenir. It was only the constant supply of hot chocolate which kept my core temperature at an acceptable level. Despite wearing several layers of clothing including a very thick jumper hand knitted with Patons Fab Big yarn specifically for the trip, I was really very cold indeed! I was very sad when my boat returned to the dock as the trip had been so wonderful that I really did not want it to end. I always had the feeling that there were even more amazing things to see if we could just have stayed out there a little longer. My cruise was followed by a lovely evening in the hotel restaurant and then the following morning I flew back to Juneau hoping that one day I could make that trip again. Braving the cold was certainly worth it even if I did fell like I had frost bite in my fingers. If you do make this trip then take along the warmest clothes you have, including a hat and good gloves, otherwise you will be forced to spend too much time away from the deck. I saw some truly amazing things that I have witnessed nowhere else and I will always be glad that I made the journey. Article by Sally Stacey. Sally writes for a number of websites, one of which provided her with her with a selection of Patons Fab Big yarn which she used to knit her warm handmade jumper prior to her travelling to Glacier Bay.